If you’re in the market for a 10-inch Android tablet, your options are fairly limited. 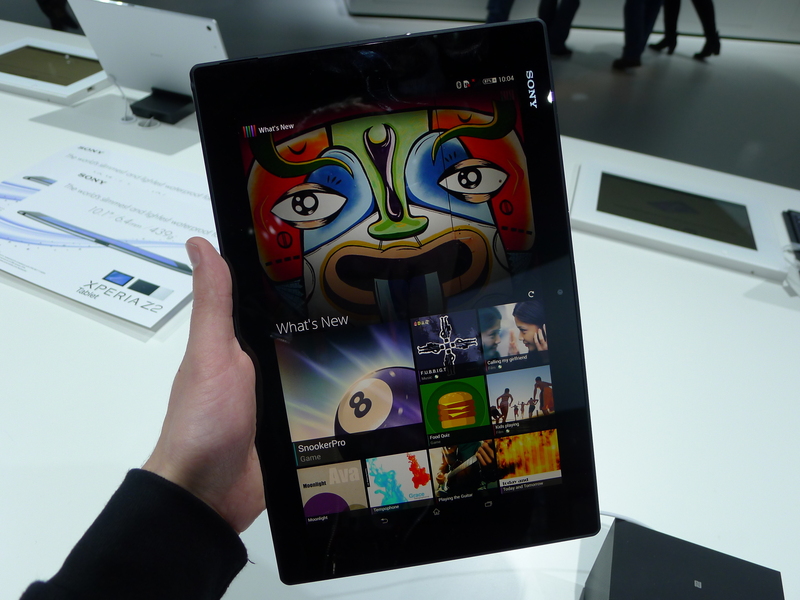 Samsung has a wealth of slates to choose from, but if you dislike TouchWiz and feel the Nexus 10 is starting to show its age, there’s one device that’s always been worth considering: Sony’s Xperia Tablet Z.
Tablets are still in high demand, so it’s no surprise that Sony came back to Mobile World Congress this year with a follow-up called the Xperia Z2 Tablet. It doesn’t look too different from its precursor, but the changes inside make this full-size Android slate an altogether different beast. When Apple first unveiled the iPad Air, people were taken aback by its tremendously slim profile. A clever TV advert that hid the device behind a generic pencil meant that customers could immediately appreciate its portability. Yet the iPad Air isn’t the thinnest full-size tablet. 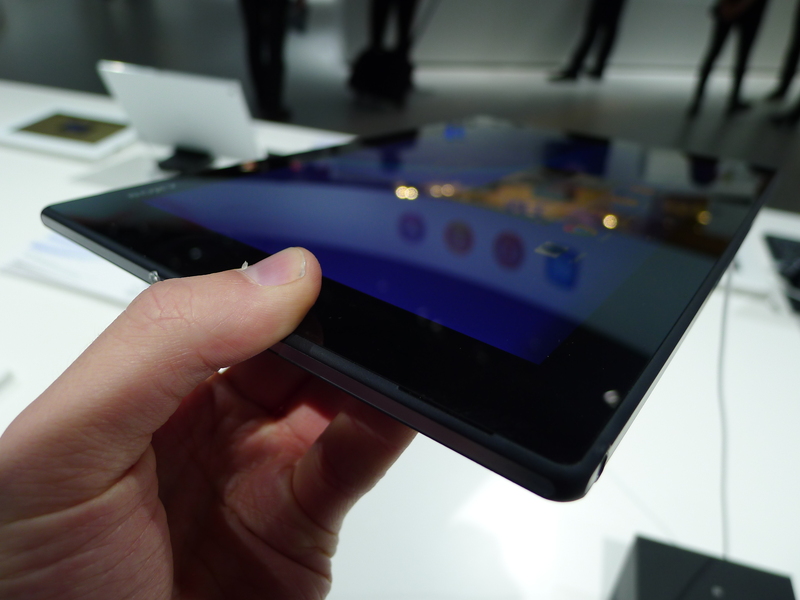 It’s just 7.5 millimeters thick, but the original Xperia Tablet Z beats it with a 6.9mm profile. 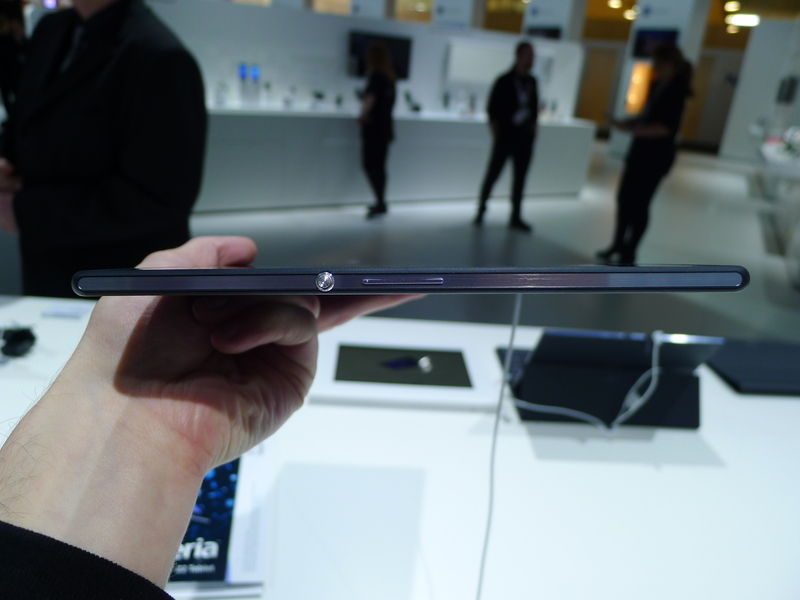 While that slender chassis would have been equally impressive on the Xperia Z2 Tablet, Sony has instead reduced it by another 0.5mm (6.5mm). The result is fantastic. From the moment you pick the Xperia Z2 Tablet up, it’s almost impossible not to hold it flat and admire its industrial design at eye-level. The device is gorgeous and it gives you the sense that both the hardware and aesthetics were a priority for Sony throughout its development. It offers the same ‘OmniBalance’ design cues found in its predecessor and Sony’s Xperia Z smartphones, which equates to mostly straight edges, minimal hardware buttons and symmetrical spacing. The only downsides here are the bezels – they’re colossal. The Xperia Z2 Tablet is already pretty large with that 10.1-inch display, but what surrounds its pixel-packed screen is difficult to ignore. It just feels wasteful and adds bulk to what would otherwise be a beautiful device. I wonder if that was a trade-off Sony made in order to shave off the extra half a millimeter – its thin profile is an easy feature to sell to consumers, but I’d have preferred them to prioritize the oversized bezels instead. 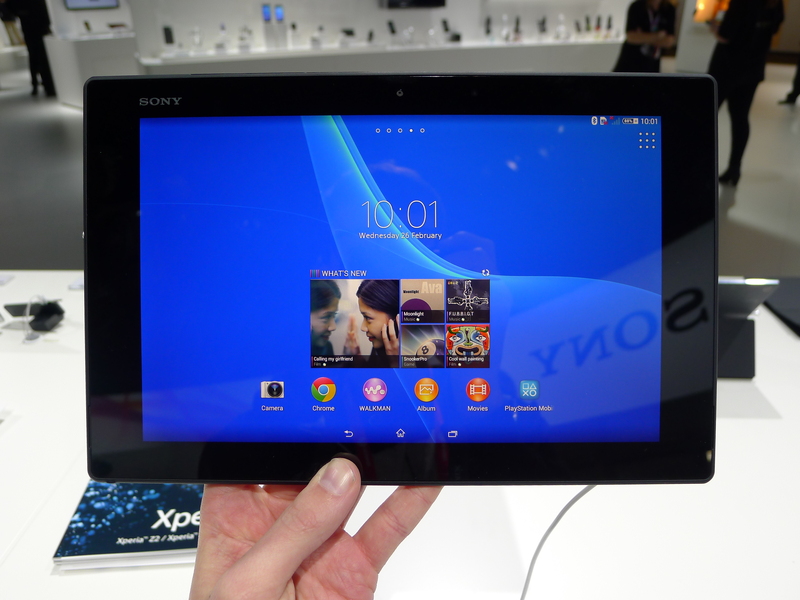 The Xperia Z2 Tablet has a 1920 x 1200 pixel display, which works out at 224 pixels-per-inch. It’s the same resolution as the Xperia Tablet Z, although Sony says it’ll offer a superior viewing experience because of the new ‘Live Color LED’ technology that was brought over from its line of BRAVIA TVs. The result should be a wider range of colors that look brighter and more natural. This is combined with its X-Reality technology that tweaks the color, sharpness and contrast based on what you’re looking at on-screen. Marketing terms aside, this is a competitive display. It’s not the most pixel-dense screen on the market – the iPad Air is considerably sharper – but the Xperia Z2 Tablet is still competent for watching films, playing video games and browsing photos. Unless you’re a true pixel junkie, the color representation, clarity and deep blacks should match your expectations quite nicely. 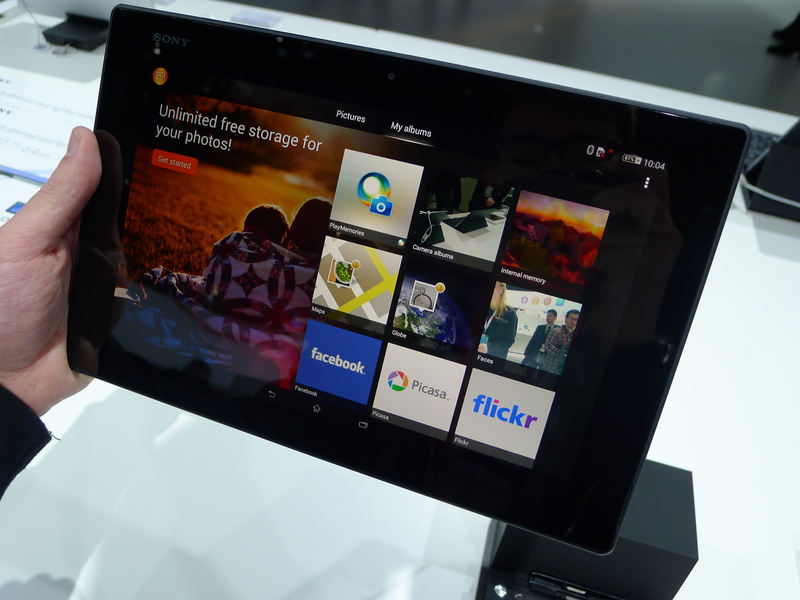 Sony wants the Xperia Z2 Tablet to be an entertainment hub for all of its homegrown Android apps, including Music Unlimited, Video Unlimited and PlayStation Mobile. To that end, Sony has moved the dual speakers to the front of the device so that any audio is always blasting in your general direction – rather than the empty space in front or beside you. Front-facing speakers are commendable – I’m a fan of what HTC has done with its BoomSound speakers – but the execution on the Xperia Z2 Tablet is flawed. Sony has fitted them toward the bottom of either edge, which is precisely where I like to hold a large-screen tablet with my little mitts. That meant I regularly blocked the audio by mistake, unless I propped the tablet up with a stand or adjusted the position of my hands. It felt unnatural and I was left wondering why Sony didn’t position them towards the top instead. Nevertheless, the S-Force Surround set up is impressive and the range, bass and balance created a clear, immersive listening experience. Compared to Samsung and HTC, Sony has a pretty hands-off approach to Android. While the Japanese company is keen to push its own entertainment services, the ‘skinning’ and other tweaks it makes are never too far off what Google offers in stock Android. That’s still the case with the Xperia Z2 Tablet. While there are plenty of Sony-specific apps to dig into, such as Walkman and PlayStation Mobile, it’s easy to ignore them if you prefer an alternative by Google or any third-party Android developer. Otherwise, it’s what you would expect from Android 4.4 (KitKat). It’s not Sony’s fault, but I’m still not convinced that Android is effective on a 10-inch (or thereabouts) display. While Google has made efforts to highlight tablet-specific apps in the Google Play store, the experience just doesn’t feel cohesive on a device with this kind of footprint. 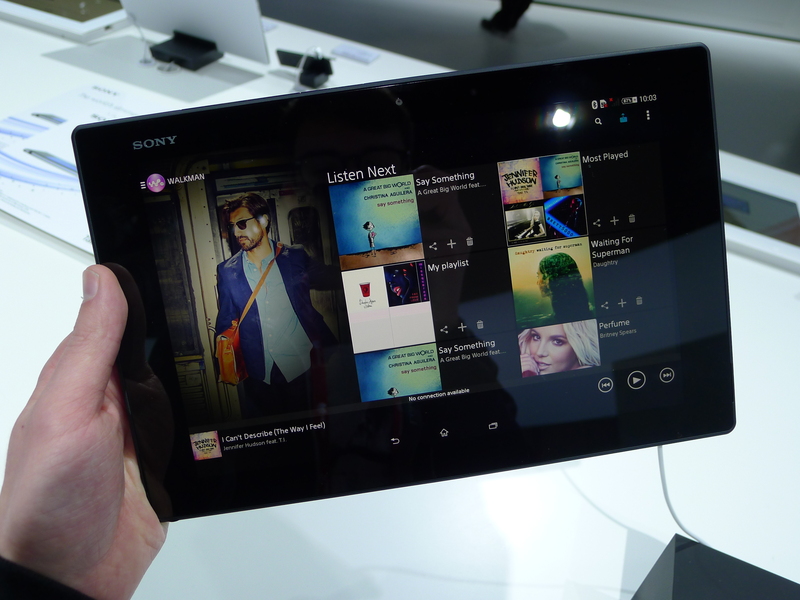 A smaller version of the Xperia Z2 Tablet, perhaps somewhere between a 7-inch (Nexus 7) and 8-inch (Galaxy Note 8.0) form factor, would be the sweet spot in my opinion. 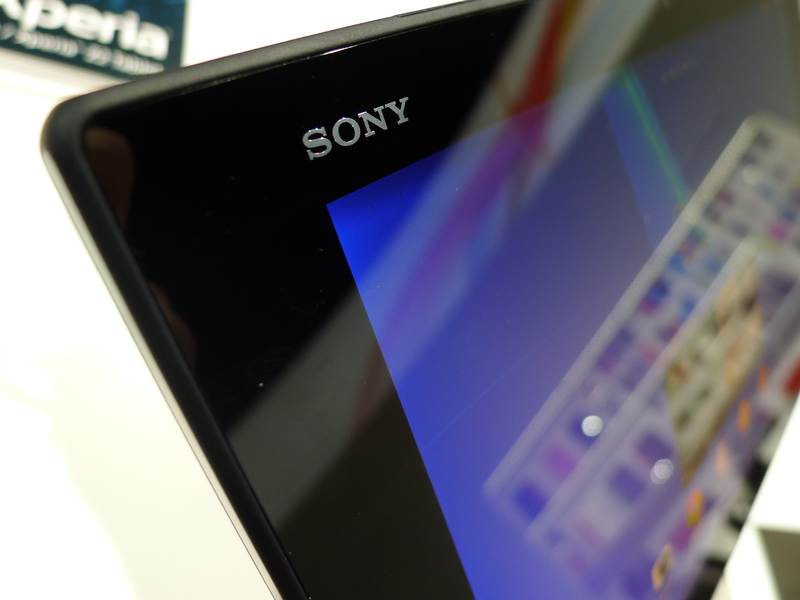 It’s hard to ignore the performance of the Xperia Z2 Tablet. It runs a quad-core 2.3GHz Qualcomm Snapdragon processor with 3GB of RAM, which is a noticeable spec bump from its predecessor. It comes with 16GB of onboard storage and a microSD slot, and runs on the same 6000 mAh battery as the Xperia Tablet Z – which is an impressive feat, given its slimmer form factor. Admittedly, I didn’t benchmark the Xperia Z2 Tablet or have the ability to download and run any intensive applications at Mobile World Congress. During my hands-on time though, everything was buttery smooth and the device handled multi-tasking without a hitch. The 8.1-megapixel rear-facing camera also seemed competent, although clearly it won’t be competing with the sensors and optics found in this year’s crop of flagship smartphones. 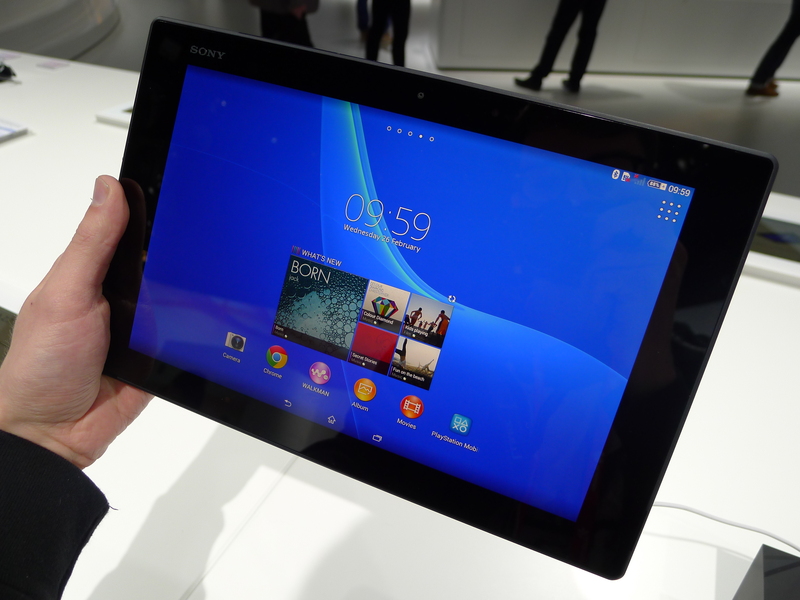 If you can ignore the large bezels, the Xperia Z2 Tablet appears to be an impressive bit of hardware. Excellent Android tablets with a 10-inch form factor are hard to come by and Sony has now improved upon what was already a pretty formidable device. I haven’t touched upon its waterproof treatment – another excellent feature that’s rare in Android tablets – and comes bundled with six free movies, a 30-day trial for Music Unlimited and some PlayStation Mobile games. When it goes on sale in March, this could be a compelling product if Sony nails the price.